Representatives of 18 Central and Eastern European countries shared their eGovernance experiences and plans for the future at the Renaissance for eGovernance 2012. Governments are increasingly turning to eGovernace to lower costs and improve efficiency of delivering government services to citizens. “Going on-line is better than standing in line,” was the theme shared by all. Throughout the vision building workshops participants highlighted that building and upgrading eGovernance and connecting it to collective intelligence systems and cloud computing can help improve their economic outlook. Renaissance for eGovernance 2012, held March 6-8 in Bled, Slovenia attracted 90 participants from 24 countries to explore the future computer assisted citizen-government relations. 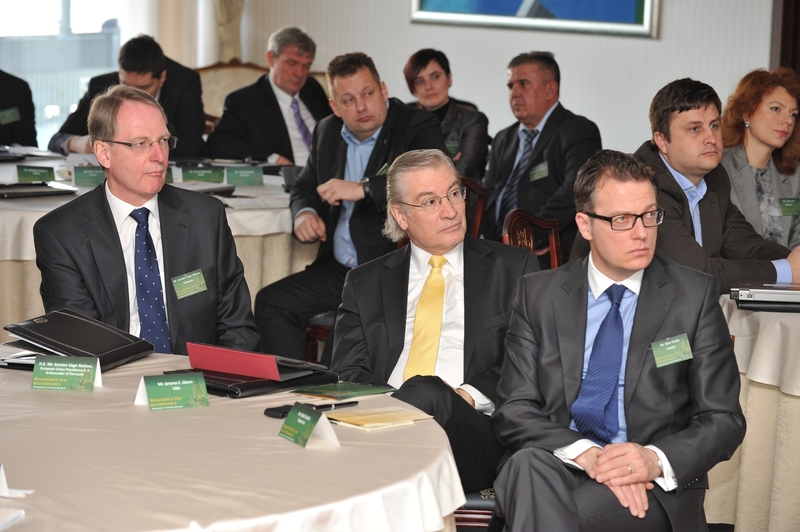 This unique event was organised by the Centre for eGovernance Development, the South East European Node of The Millennium Project and conducted under the patronage of the Republic of Slovenia, Ministry of Education, Science, Culture and Sport. The Director of CeGD, Mr. Blaž Golob opened the conference by charging the participants to share valuable messages and experiences about the importance of eGovernance & cloud computing development for creating a prosperous future for Europe and also to strengthen cooperation among Central and Eastern European countries. Dr. Žiga Turk, Minister of Education, Science, Culture and Sports of the Republic of Slovenia emphasized that e-Everything is the most important driver of Europe 2020 and will change the way our society is organised in e-Democracies. H. E. Mr. Karsten Vagn Nielsen, Ambassador of the Kingdom of Denmark stressed the importance of implementing Europe’s Digital Agenda and the best use of ICT to improve the EU economy. Dr. Zoran Stančič, Deputy Director-General, European Commission, Directorate-General for the Information Society and Media, stressed the need to create a proper approach to make all Europe digital, to break obstacles and create digital single market. “But we can achieve these goals only by providing proper services to citizens. e-Government in that view really empowers citizens,” he said. Mr. Niels Soelberg, Vice President of Public Sector, Microsoft Europe, Middle East and Africa, stated that Europe is in much better state than a few years before and that we are heading in a good direction. But there is always room for improvement, most important in education, in effective citizen services, in improving economic development and in improving security. Mr. Jerome Glenn, CEO of The Millennium Project, explained how collective intelligence systems will become increasingly necessary to improve decisionmaking, as the world becomes increasing interdependent, complex, and change accelerates. He believes that “collective intelligence is the next big thing and connecting that with e-Governance and cloud computing is very smart.” Mr. Lorenzo Madrid, WW Director Microsoft, Fellow at the Center for Technology in Government, emphasized that governments must provide valuable services for the citizens via eGovernance. All elements have to be interoperable to help transform governments for better future. Governmental policymakers and decision makers from CEE countries discussed the issues of future social development and the possibilities that technology and cloud computing solutions have to offer to transform the public sector in citizen services, education and competitiveness of economy for building prosperous country of the future. CEE countries also exchanged countries' experience and knowledge through Countries' Good Practice Case e-Solution presentations and built new visions through the vision building workshops on Policies, Institutions and Legal Regulation & ICT Solutions for Region's Competitiveness Building. The conference highlighted that building and upgrading e-Governance and Collective Intelligence Systems offer great benefits for citizens and businesses, thus promoting prosperity. Participants agreed that we need to focus on citizens’ and business’ needs, plan for the future, improve constantly throughout monitoring & measurement for success, establish transformation government and work on interoperability.